The ‘Best of Iceland’ photo gallery below is a collection of images I took during my 2 weeks there at the end of last summer. Narrowing it down from nearly 3000 images to about 100 was SO DIFFICULT, you don’t even know. I could have selected 100 just from the Laugavegur Trek alone! Our Iceland trip began with an 8 day roadtrip around the Ring Road, covering both the north and south of Iceland. We chased waterfalls and went hot pool hopping and saw so many beautiful places that our minds started to go numb. 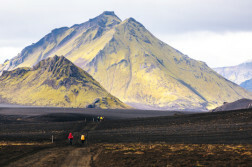 Then we took on the 4 day Laugavegur Trek from Landmannalaugar to Thorsmork, by far the most beautiful and enjoyable overnight hike I’ve done thusfar. Lastly, we ended the trip in Reykjavik where we slept and ate well at Kex Hostel and somehow managed to catch the Northern Lights from the window there. And, bonus! I’ve shared all my best tips for how to take awesome photos in Iceland, so if you like what you see below – be sure to check out that post! I chose this one somewhat randomly out of no less than 20 of my favorite photos from the Laugavegur Trek (the rest of which you can see toward the end of the slideshow below). 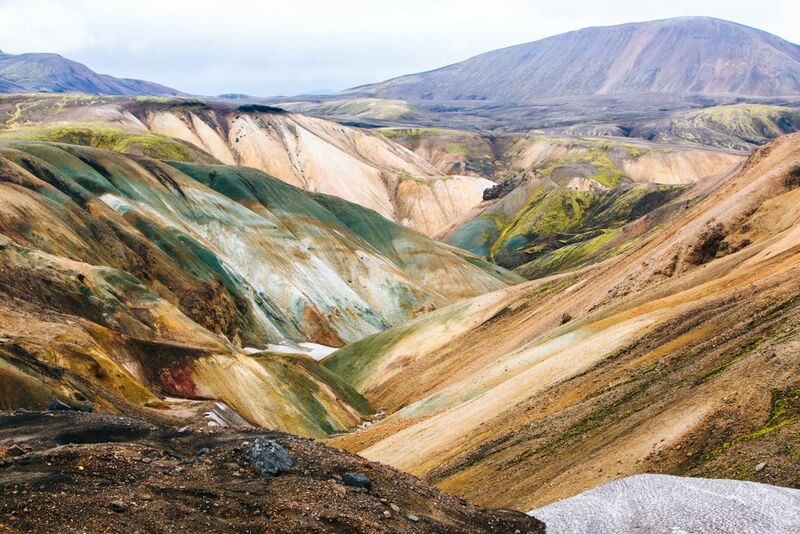 These colorful braided mountains were a scrumptious feast for the eyes on Day 1 as we were trekking out of Landmannalaugar. The entire trek felt like being on another planet, one where Rainbow Brite meets The Last Frontier. Hands down one of the best things I’ve ever done in my life! You know when you first fall in love with something (or someone) from a photo, and then when you see it in person you’re like OH JUST KIDDING? Well, the opposite happened with Svartifoss. It was every bit as fantastic as I’d imagined. As with most everything else in Iceland, it was easy to avoid the crowds – in this case, all I had to do was step over a fence and walk closer to the action. 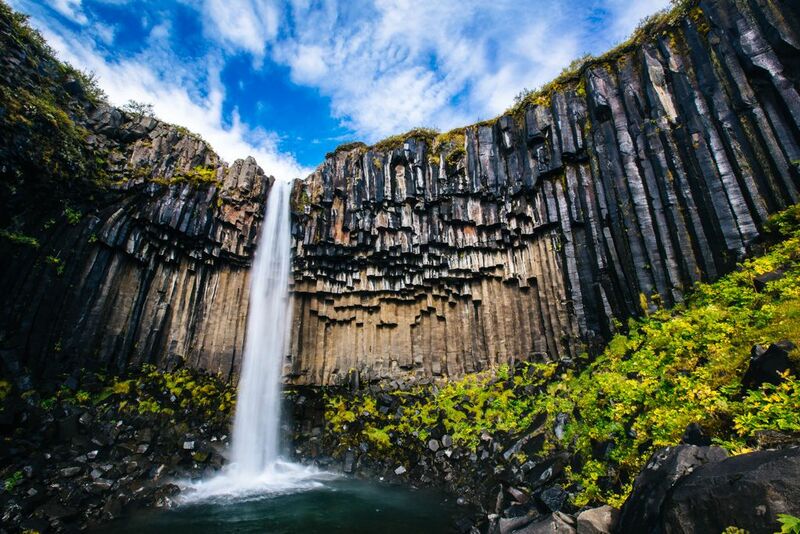 Highly recommend Svartifoss as a must-do on an Iceland roadtrip! 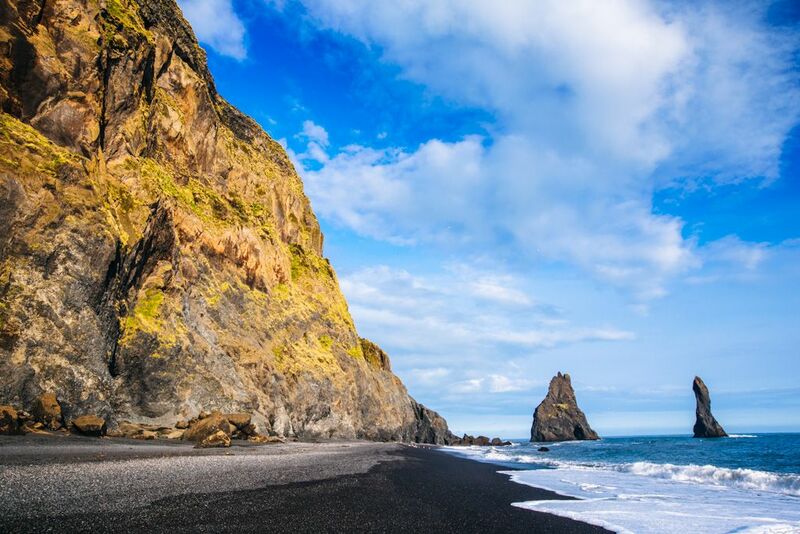 This glorious black sand beach in Iceland is revered more for its towering basalt columns (similar to those found at Svartifoss); however, I was slightly more enamored with the beach itself. We visited at just the right time, with the late day golden light hitting the rocks oh-so-perfectly. Enjoying some wine and chocolate at Reynisfjara was one of my favorite moments in Iceland! There’s something really cool about Godafoss in particular when compared to the hundreds of other waterfalls in Iceland. It’s like there’s this large stretch of land that just gives way to a waterfall while the road continues on alongside it, undisturbed. We walked along the edge here, then spent the night camping nearby, falling asleep to the sound of the thundering falls. Beautiful! 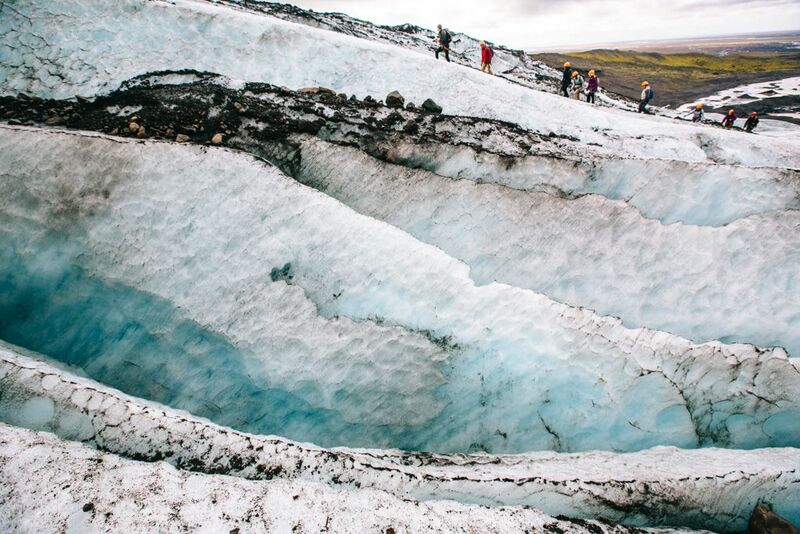 Hiking a glacier in Iceland was such a cool experience, and I love the many layers of ice in this photo I took there. You haven’t tasted real water until you’ve sampled melted Icelandic glacier! 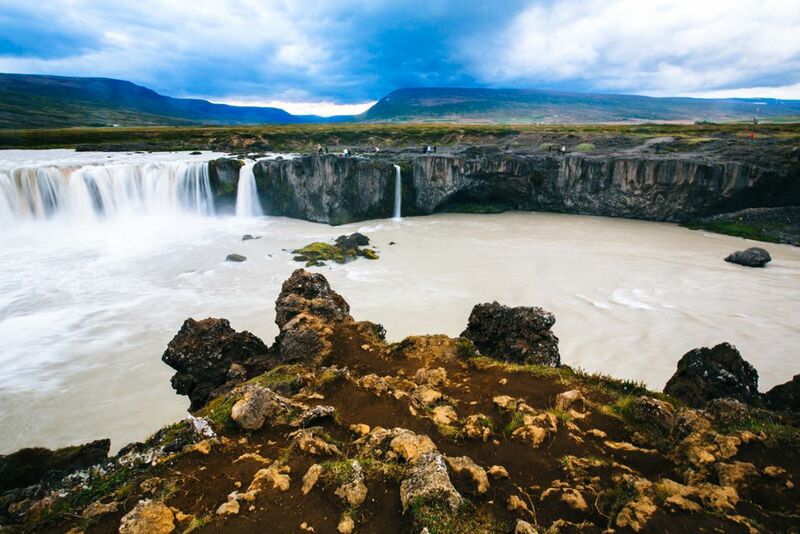 Read more on how to take awesome photos in Iceland!